The Claiborne Top by DIBY Club is so on trend this year. 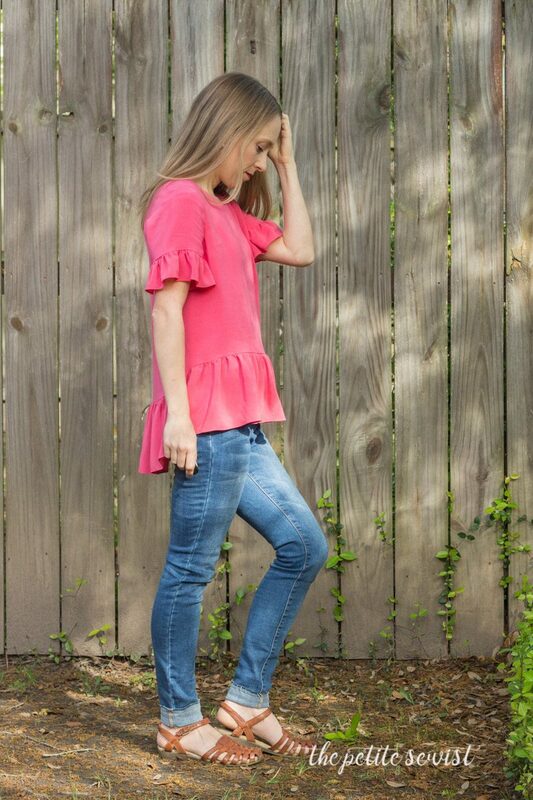 I’ve been seeing ruffles everywhere in fashion. 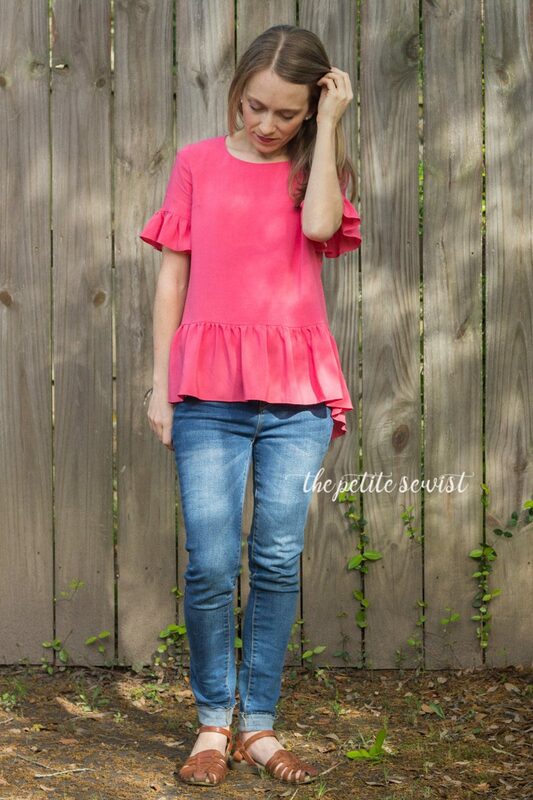 I love the feminine touch ruffles add to a design. This is the first time I’ve made a rayon challis blouse in 16 years. This was back when I didn’t know how to do an SBA or how to remove length for my height correctly. I loved using this rayon challis from my local fabric store, Five Eighths Seams. I sewed almost exclusively knit fabrics last year and I’ve really been trying to get back to where I started and sew more wovens. You need a narrow hem foot to hem the edge of the ruffles. I purchased this universal narrow hem foot for my Babylock machine and it worked like a breeze! It makes a smaller hem than my last machine but I really like how it looks with this challis. Check out my post on using a NARROW HEM FOOT HERE. 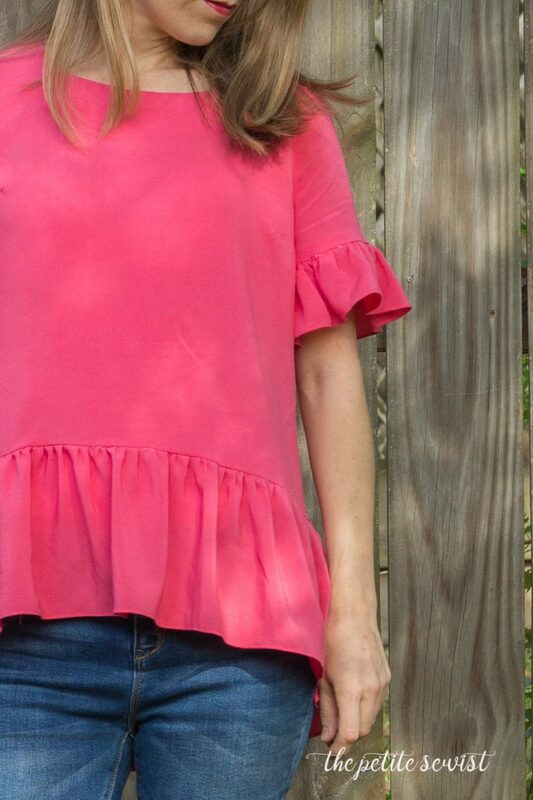 The importance of pressing your seams cannot be understated, especially at the ruffle seams. My tailor’s ham and my seam roll are regular tools I use for pressing EVERY project. I also love this tailor’s clapper. It’s really nice for setting the seam immediately after I remove my iron from pressing an area. It helps me to not burn delicate fabrics that need more pressure to press the seam open, but not more heat. For my tester version of the pattern I made a size 00 with an FBA. Some designers tell you to choose your size based on your full bust measurement and then adjust the bust and shoulders. 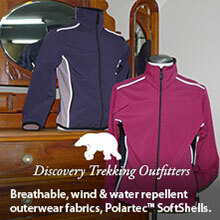 DIBY Club has you choose your size based on your high bust. This sometimes means that you have to do a FBA….even if your cup size is a AA. DIBY Club patterns have a better fit in the shoulders (and high bust) by doing the FBA, as I was instructed to. One small change… I prefer my shoulder seam to be slightly wider than drafted. As far as I know, all DIBY tops fit this way on me. I chose to do a 1/4″ wide shoulder adjustment for my final. If I were to make the Claiborne again, I would widen (or scoop out) the boat neck slightly. Me and several other testers said that they had a bit of trouble getting the shirt over their heads. For reference, I have a small-medium sized head. The top has a very loose silhouette and it has more ease than I anticipated. Big drapey tops are a serious trend this year. I must admit, I prefer my clothing to be a bit closer to my body. I like the way it looks better with my petite proportions. 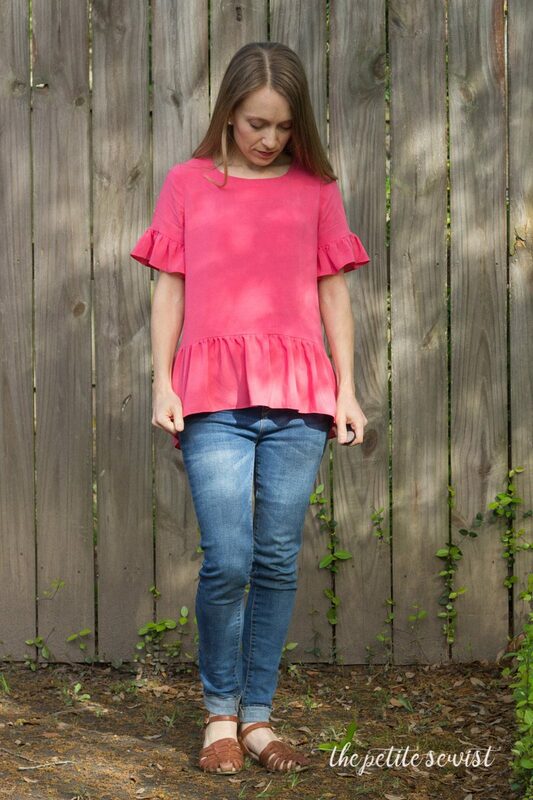 It’s super easy to adjust the pattern by taking in the side seams and by shortening the hip ruffle slightly. I had planned to take this blouse in and re-shoot pics, but the weekend got away with me! I wore my top to a baby shower this weekend and it needs washing first. 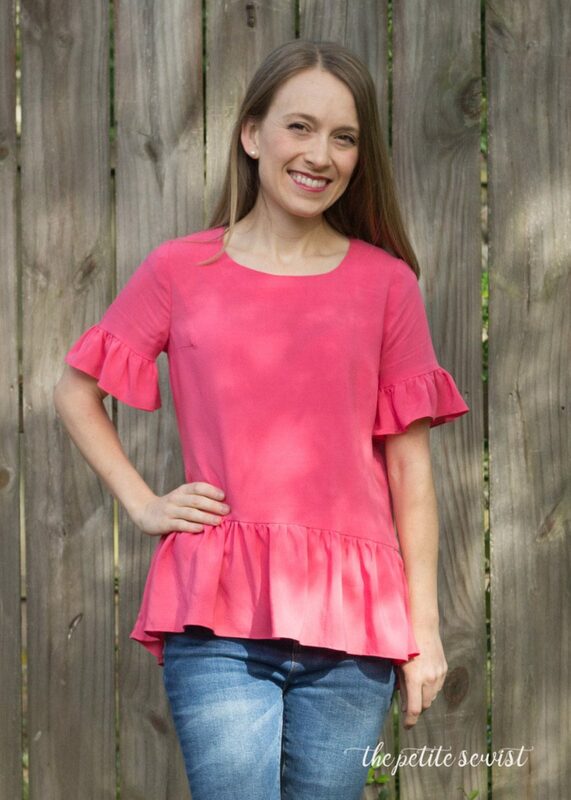 This is such a fun comfortable top, I can’t wait for it to warm up a bit more so I can fully enjoy this top’s airy feel!